Looking for private in-home or in-studio Trumpet lessons? Our Columbia teachers are ready to get you started. Find your teacher today! I will tailor your lessons to help you reach your goals. I've been studying trumpet for 15 years, and I'm eager to work with students of all ages. I will give students a firm foundation in trumpet fundamentals, while also focusing on what the student would like to learn. I specialize in jazz and contemporary music, though I am also trained in classical music. Hi! My name is Dustin. I've been teaching private lessons since 2010 and have loved helping my students develop a talent and love for music. I went to West Virginia Wesleyan College and earned a degree in Music in 2012. I look forward to helping you reach your goals! Dustin was prompt and worked well with my middle school aged-son. Had him engaged and motivated to practice! I feel like he really understands my struggles and how to help me. Plus, he offered to transpose some pieces that I want to play on trumpet. Dustin is an excellent teacher. Patient, knowledgeable, creative, engaging. I have learned so much already, just a few lessons in! I believe that it is very important to have a good musical foundation in addition to playing the trumpet. We will go over aspects of music theory such as scales and key signatures. We will go over the fundamentals of playing trumpet and use exercises from various different method books. We will also go in depth into any styles that you are interested in. I will ask you to listen to recordings of great trumpet players so you can model their sound. Lessons will be rewarding and fun! I teach you how to read, play, and transpose the music. I also work on techniques necessary for good tone and breathe control. We also work on Theory so you understand what is in the music that you are reading. When Bill was my band director over a decade ago, he was the best music teacher I'd had at that point. After reconnecting with him and having him work with me on my techniques more recently as an adult player, that opinion still stands very strongly. He has a wonderful way of phrasing things that help you just "get it," and has expert advice from everything from fundamentals and helping you achieve your best sound, to more advanced techniques such as double and triple tonguing. work with. He was very good at instructing one on how to use the instrument." better, but he helped me understand rhythms and articulations. Additionally, he provides various techniques and exercises that stretch beyond just the instrument itself. Overall, the effort that he puts into his work shows how special of a teacher this man is." Baltimore, MD teacher: Andrew G.
can aid a wide range of subjects, from just starting out to experienced trumpeters. Additionally, Andrew is personable and kind, and will never say anything negative to his students. He is nothing but encouraging, and his talent with the trumpet shows that his students are in the right hands. I would recommend Andrew to anyone trying to improve their playing techniques because he is educated, talented, and humble." can locate a specific part in the music where people are struggling and can help fix the problem. Andrew is very reliable as he is very willing to meet with you and make you a better trumpet player. Overall, Andrew Giska is a recommended trumpet teacher as he is very good at what he does." nowledge openly and provides reassurance. He has taught me breathing techniques that allow me to use more air. He also taught me how to be more direct with my air. He is an amazing teacher and his low stress demeanor made it easy for me to learn from mistakes without getting overwhelmed." me on techniques that resulted in me going from no “music” to my first set of scales. Andrew’s zeal to teach was very evident. I am very pleased." e teacher, and his lessons make me realize concepts about the trumpet that I could have never even imagined! My playing has improved tremendously since I began taking lessons with him, and his lessons enable the learner to develop an awareness of the instrument as well as their own physicality while playing. Furthermore, Andrew takes great care to adjust each lesson in a way that is applicable and makes sense to each student he teaches. Knowing someone with such a passion for playing the trumpet and the fact the he loves to share that passion with others motivates me to improve and love the music that I play personally. Incredible experience!" "PJ said his first lesson was great and how to focus on air"
eady to go and he communicates all the small details very well. Second, he is a great trumpet player and teacher. Andrew helps my son work on all aspects of the trumpet and he has really improved his overall understanding of the instrument. My son has been playing the trumpet for 7 years and he is still learning new techniques from Andrew. Finally, Andrew provides written notes and/or a follow up email with instructions for my son to work on before the next lesson. I really enjoy listening to their lesson. 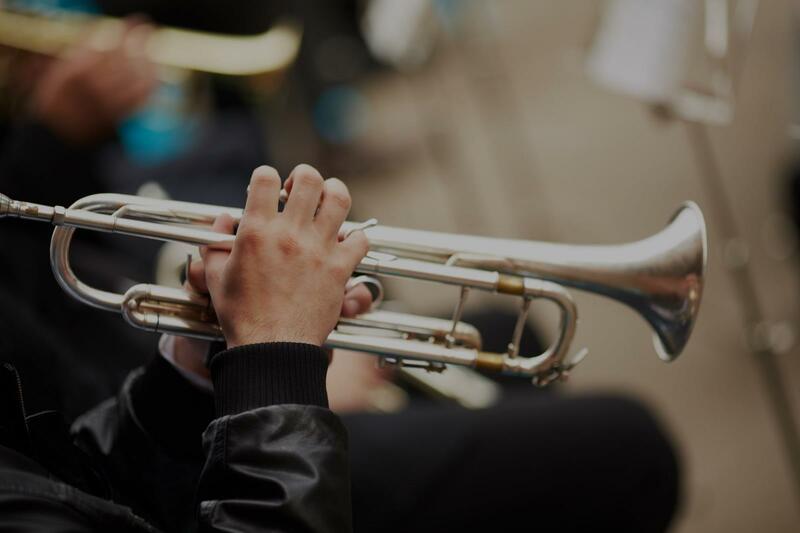 I would definitely recommend Andrew for trumpet lessons!"